The experience of communal worship has become an increasingly integral part of our approach to ministry in the last couple of years. We have found this to be a powerful way of teaching people how to pray, and of providing a space for them to encounter the Lord in a personal way. This summer we held a six-week series that we called Worship Nights. Having wrapped up that event, I wanted to take a look back and share some reflections on the fruits that came from it. Each Worship Night consisted of about an hour of music-led prayer which was preceded by a talk on one aspect of worship. The goal for these talks was to highlight a different way of engaging in prayer. We wanted to open up new possibilities for what worship could look like and to equip our guests with a new set of tools for their time of prayer with us. The music for each night was designed to give everyone an opportunity to practice worshiping with that new tool. You can hear these talks (about 10 minutes each) via the podcast links below. Each segment also includes a portion of that evening's music (another 10 minutes) in case you would like to put these worship tools into practice yourself. The Worship Night series was a really beautiful, powerful experience. Below are some of the unique characteristics of this event. Some of them were goals that we were specifically aiming for, but some of them were total surprises as well! We wanted to cultivate a space where people could experience more freedom in worship. Let's just name this up front - the Catholic liturgical tradition does not lend itself to freedom of expression. Nor do I think it needs to. But there are other legitimate ways of engaging in worship communally that we don't often make room for in Catholic circles. Put your typical Catholic in an environment of freedom, and they will spend most of their time trying to figure out what they're "supposed" to do! On the flip side, I've been in more expressive worship environments where what they really meant by "freedom" in worship is, "You need to be 'free' and raise your hands and dance just like me." Of course, we wanted people to be free to raise their hands and even dance in worship, and so the delicate task before us was to invite authentic freedom without forcing things into yet another box. For us, the first step was to choose the right space, and in this infant stage of the journey the right space was not the church. Instead we chose an open-space meeting room, and then later decided to move into the school gymnasium. The gymnasium seemed to be the best fit. It gave people enough room to move around without interrupting other people's worship. That included a wide open back section where small children could freely spend their youthful energy and still be involved in the worship environment. The second step was to use the talks to set a tone of exploration. 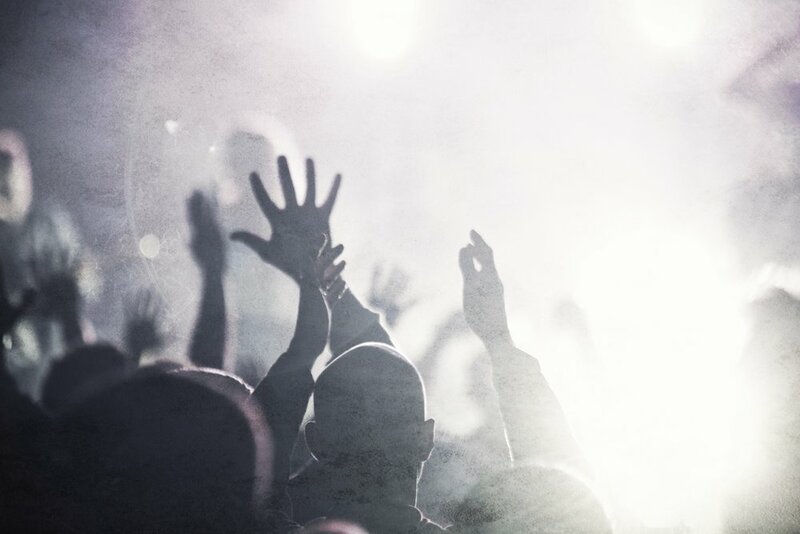 We named various possibilities for how people could experiment in worship. Some of these were external actions, like raising hands, dancing or swaying, singing spontaneously, or even through art. But we also talked about different kinds of focus in worship, like aligning our thoughts with God's thoughts, or using worship as a weapon in spiritual warfare. We encouraged them to try it out, but at the same time emphasized that this was all about getting the heart engaged in worship. Our tone was along the lines of, "Go ahead and give this a try, and see if it helps to draw your heart deeper into worship." Over the course of our six weeks, it was a joy to see people experimenting in these various ways. Sometimes this required a little risk-taking and stretching outside of comfort zones, but by the end it seemed like most of our attendees had found their "groove" and were enjoying new levels of freedom. And with that freedom came joy - after all, we are made for worship! A consistent outcome from Worship Nights was a growing sense of community and connection among everyone who participated. I did not expect this, at least not in the degree that it happened. As I reflect on it, it makes sense to me. Prayer from the heart is an intimate experience with the Lord, and so shared prayer is a shared experience of intimacy. So I found a genuine sense of belonging and affection forming between attendees (myself included). Some attendees whom I have known for years via casual conversations I now have a strong connection with, even if they only attended once. As it turns out, science actually backs up this phenomenon. I recently attended a conference called Heartbeat: A Creative Renaissance where one of the speakers referenced a scientific study of what happens on the biological level when people sing together. In short, there is a release of pleasure-inducing endorphins, as well as oxytocin, the hormone most closely associated with trust and bonding. I believe that what is true on the biological and psychological levels reflects reality on the spiritual level as well. Worship is a powerful force for spiritual unity, and I think we are seeing that played out on a national level through events like Azusa Now and Together 2016. We had a number of non-Catholic Christians join us for Worship Nights as well, and it was a beautiful experience to stand shoulder-to-shoulder in worship with them, but all the more to be able to do so on our home turf. An inviting environment for non-Christians. This was probably the biggest surprise of all. I'm pleased that we had Christians of various backgrounds who attended, but that makes sense to me because we are fellow believers. It was the non-Christian spiritual seekers that I didn't foresee. Each of those who came reported enjoying the experience very much and feeling blessed by it. Alleluia! I think this highlights one of the distinctive characteristics of the age we live in. There is actually a great openness to spiritual experience, and a great willingness to participate in a prayer-like environment even when people don't fully embrace our belief in Jesus. I think if most of us were tasked with designing a strategy for evangelizing non-Christians, it wouldn't start with inviting them to worship Jesus with us! That seems counter-intuitive, offensive even. I think the reality is just the contrary though. People are turned off by arguments (which, no matter how you spin it, communicate an underlying message of "I'm right, you're wrong"). But if they can encounter something real, something that reaches that hungry place in their hearts, then they naturally want to follow up and say, "How can I get more of this?" It's safe to say that worship will continue to be a major emphasis in the future, both in our youth ministry efforts and in other kinds of outreach. One of the exciting new developments coming up for us is a parish-wide Worship Night with guest worship leader Sean Feucht. Sean is the founder of a global worship and prayer movement, Burn 24-7. He has witnessed first-hand the power of worship to effect incredible change, even in the most hostile and war-torn regions of the world. If you're in the Northern Virginia area, we'd love to have you join us for this event on January 7, 2017. If you're interested in hearing more about Worship Nights and how we've been growing this worship environment over the last few years, please feel free to contact me. I'm also available for worship team training or to lead music for events.